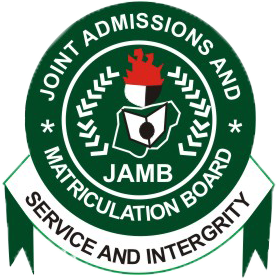 The Joint Admission and Matriculation Board (JAMB) has instructed candidates for the 2019 Unified Tertiary Matriculation Examination (UTME) to register before February 21. The board said it is not considering extending the duration for registration. The board also said it is satisfied with the use of only accredited Computer-Based Test centers for the ongoing registration of candidates and the ban of cybercafés. Emmanuel Aguzie, Chairman of Governing Board of JAMB, made this known on Friday shortly after touring some CBT centers in Lagos. Aguzie said that the 100 per cent computerized-registration process is yielding good results. The Chairman visited three centers which include; Ha-Shem Academy, Iwaya, Yaba; ETC Nigeria Ltd (TKK), Anthony, Ikorodu road and the Federal College of Education (Technical), Yaba. The three centers had registered over 7000, 2300 and 5000 candidates respectively so far. The officials and candidates at the CBT centers described the exercise as hitch-free, seamless and fraud-free. Aguzie said registration is expected to close on Feb. 21 with the exam commencing March 16. He said he does not foresee the registration deadline extended.